The Dawn Jogger has begun to circle back on many of the trails enjoyed by her and the male DJ. 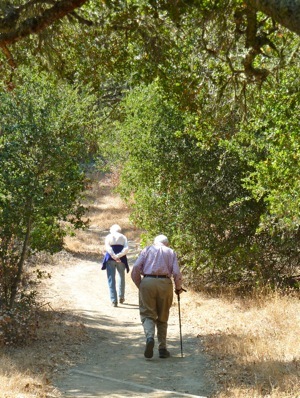 Some, like today’s hike along the Toyon and Old Spanish Trail, they walked very early in their years in the Bay Area, prior to loyal dog Cassie joining them. These are the “no dog” trails. This afternoon’s walk was short due to other commitments but she’s looking forward to longer “no dog” jaunts at Huddart and Wunderlich.